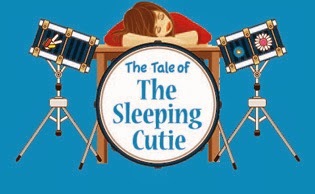 PlayGround announces a new round of auditions for THE TALE OF THE SLEEPING CUTIE, a modern musical fairy tale by Diane Sampson with music by Doug Katsaros, commissioned by PlayGround. Auditions by appointment only will take place on Tuesday, January 7, 2014, 3pm-8pm, in San Francisco. The musical will have a workshop/reading, February 3-9, 2014, and a full production, April 17-May 25, 2014, at Thick House in San Francisco (rehearsal begins March 18, 2014). It will be produced under a BAPP, pending approval. For AUDITION APPOINTMENTS and additional information, contact Annie Stuart, annie@playground-sf.org.